Danger, zeppelins and clockwork critters amid London’s smoky spires. Love Philip Reeve or Northern Lights? Then you’ll love this! In a world of living clockwork animals and ruthless air pirates, Lily is running for her life. Her father is missing, and strange silver-eyed men are stalking her through the shadows. What do they want? 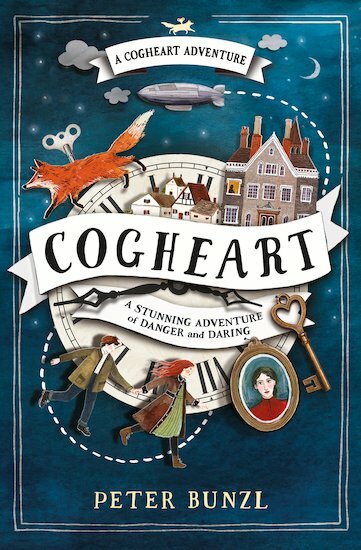 Along with her clockwork fox Malkin and her best friend Robert, Lily plunges into a murky and menacing world of dark secrets. But what if the people Lily holds dear will be the ones to break her heart?